Abandoned on the steps of the Drury Lane Theatre as a baby, feisty Cat Royal has been raised by actors, costume artists and stagehands. The chaotic theatre is the only home she’s ever known. But now she must leave. Adventure calls! Cat’s new friend Pedro is in trouble, and all the eyes of London are turned on them. 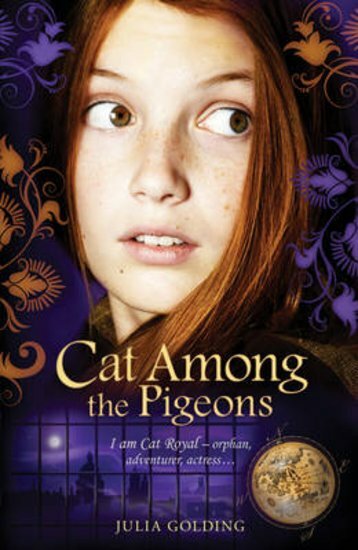 They must go into hiding, where Cat will disguise herself to play a daring new role… Exciting, funny and packed with adventure: a fabulous historical jaunt from the award-winning Julia Golding.